While there are definitely more areas to investigate, what we've seen of the Radeon VII is still the first 7nm gaming GPU, and that is no small feat. But beyond that, bringing it to consumers allows a mid-generation option for buyers; and the more enthusiast-grade choices, the merrier. The Radeon VII may be a dual-use prosumer/gaming product at heart, but it still has to measure up to being the fastest gaming card of the Radeon stack. At the risk of being redundant, I can’t help but emphasize how surprised both Ryan and I are that this card is even here at this time. We’re still very early into the 7nm generation, and prior to last month, AMD seemed content to limit the Vega 20 GPU to their server-grade Radeon Instinct cards. Instead a confluence of factors has come into place to allow AMD to bring a chip that, by their own admission was originally built for servers, to the consumer market as a mid-generation kicker. There isn’t really a good precedent for the Radeon VII and its launch, and this makes things quite interesting from tech enthusiast point of view. Kicking off our wrap-up then, let's talk about the performance numbers. Against its primary competition, the GeForce RTX 2080, the Radeon VII ends up 5-6% behind in our benchmark suite. Unfortunately the only games that it takes the lead are in Far Cry 5 and Battlefield 1, so the Radeon VII doesn't get to ‘trade blows’ as much as I'm sure AMD would have liked to see. Meanwhile, not unlike the RTX 2080 it competes with, AMD isn't looking to push the envelope on price-to-performance ratios here, so the Radeon VII isn't undercutting the pricing of the 2080 in any way. This is a perfectly reasonable choice for AMD to make given the state of the current market, but it does mean that when the card underperforms, there's no pricing advantage to help pick it back up. Comparing the performance uplift over the original RX Vega 64 puts Radeon VII in a better light, if not a bit of a surprising one. By the numbers, the latest Radeon flagship is around 24% faster at 1440p and 32% faster at 4K than its predecessor. So despite an interesting core configuration that sees the Radeon VII ship with fewer CUs than the RX Vega 64, the Radeon VII pulls well ahead. Reference-to-reference, this might even be grounds for an upgrade rather than a side-grade. All told, AMD came into this launch facing an uphill battle, both in terms of technology and product positioning. And the results for AMD are mixed. While it's extremely difficult to extract the benefits of 16GB of VRAM in today's games, I'm not ready to write it off as unimportant quite yet; video card VRAM capacities haven't changed much in the last two and a half years, and perhaps it's time it should. However at this moment, AMD's extra VRAM isn't going to do much for gamers. Content creation, on the other hand, is a more interesting story. Unlike games there is no standard workload here, so I can only speak in extremely broad strokes. The Radeon VII is a fast card with 16GB of VRAM; it's a card that has no parallel in the market. So for prosumers or other professional vizualization users looking to work on the cheap, if you have a workload that really does need more than the 8 to 11 gigabytes of VRAM found in similarly priced cards, then the Radeon VII at least warrants a bit of research. At which point we get into the merits of professional support, AMD's pro drivers, and what AMD will undoubtedly present to pro users down the line in a Radeon Pro-grade Vega 20 card. As for AMD's technology challenges, the upside for the company is that the Radeon VII is definitely Vega improved. The downside for AMD is that the Radeon VII is still Vega. I won't harp too much on ray tracing here, or other gaming matters, because I'm not sure there's anything meaningful to say that we haven't said in our GeForce reviews. 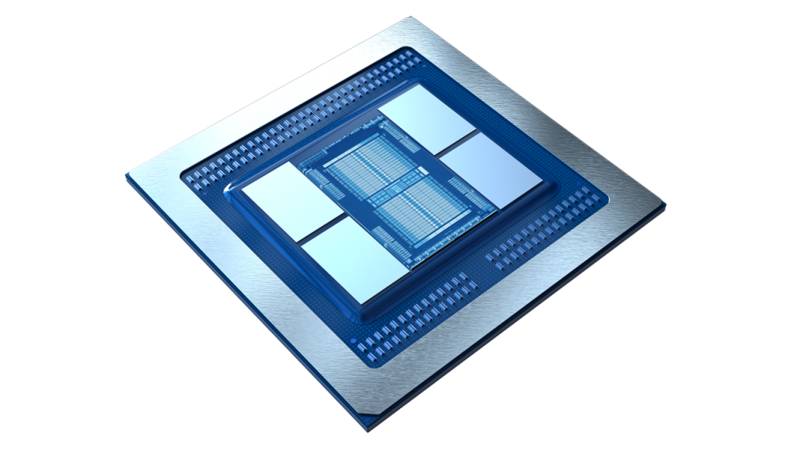 But at a broad level, Vega 20 introduces plenty of small, neat additions to the Vega architecture, even if they aren't really for consumers. The bigger concern here is that AMD's strategy for configuring their cards hasn't really changed versus the RX Vega 64: AMD is still chasing performance above all else. This makes a great deal of sense given AMD's position, but it also means that the Radeon VII doesn't really try to address some of its predecessor's shortcomings, particularly against the competition. The Radeon VII has its allures, but power efficiency isn’t one of them. Overall then, the Radeon VII puts its best foot forward when it offers itself as a high-VRAM prosumer card for gaming content creators. And at its $699 price point, that's not a bad place to occupy. However for pure gamers, it's a little too difficult to suggest this card instead of NVIDIA's better performing GeForce RTX 2080. So where does this leave AMD? Fortunately for the Radeon rebels, their situation is improved even if the overall competitive landscape hasn’t been significantly changed. It's not a win for AMD, but being able to compete with NVIDIA at this level means just that: AMD is still competitive. They can compete on performance, and thanks to Vega 20 they have a new slew of compute features to work with. It's going to win AMD business today, and it's going to help prepare AMD for tomorrow for the next phase that is Navi. It's still an uphill battle, but with Radeon VII and Vega 20, AMD is now one more step up that hill. Yep, looks like they changed the cap in vBIOS based on feedback. Asrock just posted vBios: is this with the FP 1:4 or newer? So maybe it's new bios with some fixes?